MinnAnimate got a great write up in Art Hounds today! 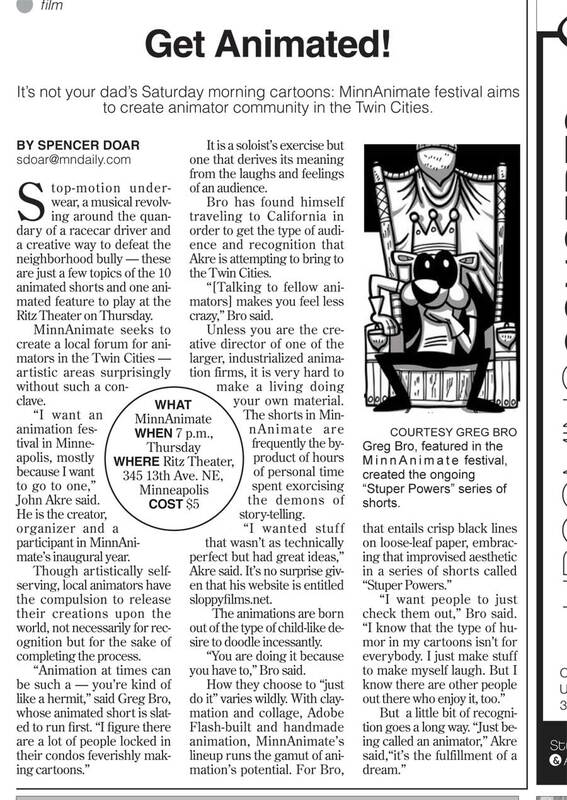 MinnAnimate made the City Pages A List for this week! MinnAnimate got a couple other press mentions as the festival approached. Marian Combs talked about it on the Current as part of her weekend arts wrap up, and it also made the Weekend What’s What in l’etoile! The Minnesota Daily featured an article about MinnAnimate today!